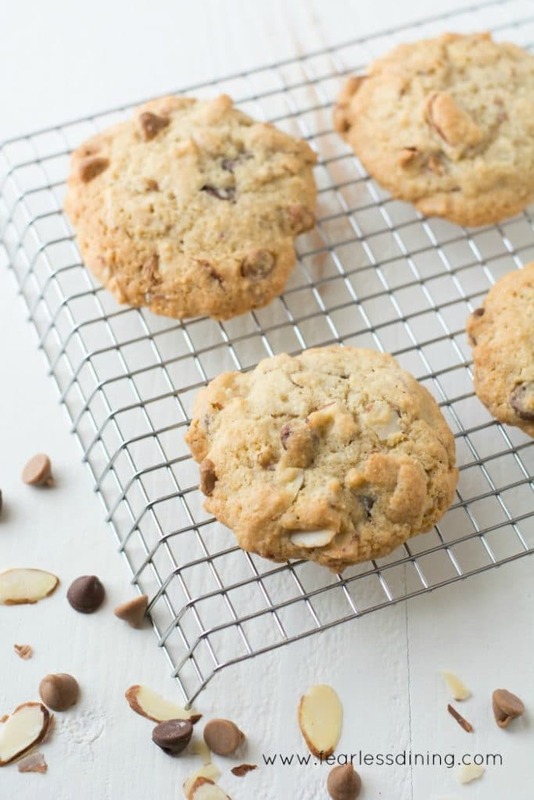 These Gluten Free Slivered Almond Chocolate and Peanut Butter Chip Cookies have it all. 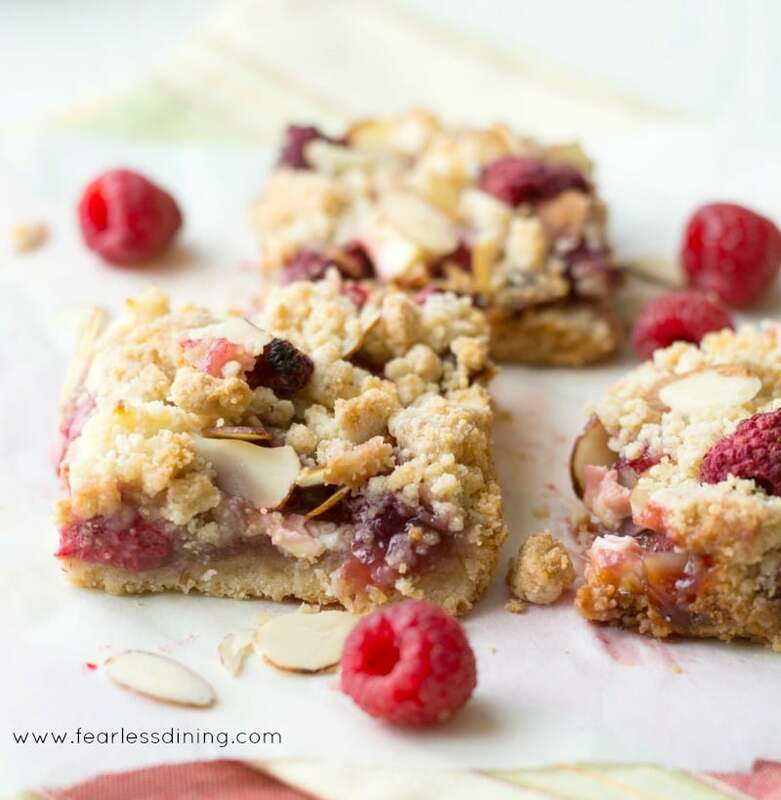 They are moist, chewy, and they have a slight almond crunch that makes them irresistible. Today is all about almonds. They are the true star in this new cookie recipe I developed. Have you ever bought a bag of slivered almonds? What do you use them in? Our family loves to add these to oatmeal. I guess we don’t think outside the box that often. They also make a delicious addition to the crispy topping on a fruit crisp. They make these peanut butter chip cookies extra special. Again, not so creative by themselves. 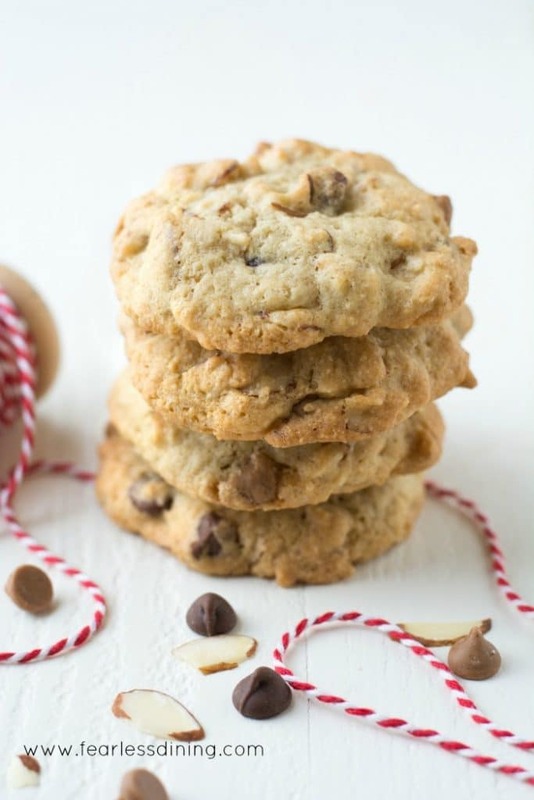 Wait until you try these gluten free slivered almond peanut butter and chocolate chip cookies. My daughter had the idea to add these almonds into our cookies. If you have been following for a little while, you know she is the anti-protein girl. My picky eater….it seems like most families get one of these kids :-). If she wants almonds in her cookie, then I am going to risk being the overachiever. Not only is she getting slivered almonds, but I am going to toss in a ton of almond flour to really make these protein packed. Add both chocolate and peanut butter chips and these are going to become your new favorite gluten free cookie. Add your dry ingredients to the wet ingredients and mix. Add your mix-ins. Your gluten free cookie dough will be nice and creamy. Drop onto parchment paper in ball shapes and bake. Don’t forget to check out all of the delicious gluten free cookie recipes on my blog. Using a cookie scoop will make all of your cookies the same size. Almond flour to add protein. Easy gluten free slivered almond cookies with both chocolate and peanut butter chips. In a mixer, add wet ingredients and blend on medium speed. Gradually add in dry ingredients, turning off power before adding ingredients. Add almonds and chips and mix in these by hand. Drop cookie dough in small balls onto the paper. Remove and put cookies onto a cooling rack. 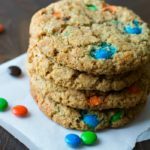 Chocolate chip cookies are my absolute favorite but I love finding fun ways to make them different and these sound AMAZING!! I can’t wait to try this recipe! I just bought some chocolate chips this weekend – time to bake!!! Ah, looks like you packed everything into those! 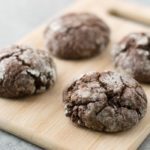 This look soooo good; I am always looking for new ways to spice up my chocolate chip cookie recipes! 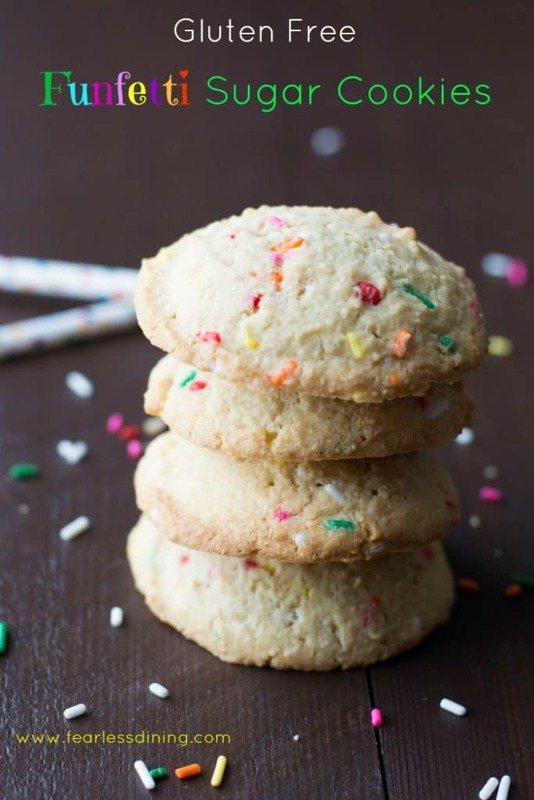 Also must try your GF Funfetti cookie recipe! There is so much about this cookie that I love! I adore almond everything, so I know I’d love these! My brother recently found out that he needs to eat gluten free. I will have to make a batch of these for him…make that a double batch so we can enjoy them too! I hope he likes them Tonia 🙂 If he has any questions, tell him he is welcome to email me and I will help in any way I can. I am a sucker for a good chocolate chip cookies and you have made them gluten free so I can enjoy even more. These cookies look absolutely delicious, love almonds in cookies.